The majority of adolescents with mental health problems do not experience continuity of care when they reach the transition boundary of their child and adolescent mental health service. One of the obstacles for a smooth transition to adult mental health services concerns the lack of training for health-care professionals involved in the transition process. This study aims to seek psychiatric trainees’ opinions regarding training on transition and the knowledge and skills required for managing transition. A survey was distributed to trainees residing in European countries. Trainees from 36 countries completed the questionnaire, of which 63% reported that they came into contact with youth and young adults (16–26 years) during their clinical practice. Twenty-seven percent of trainees stated they have good to very good knowledge about the transition process. Theoretical training about transition was reported in only 17% of the countries, and practical training in 28% of the countries. Ninety-four percent of trainees indicated that further training about transition is necessary. The content of subsequent transition-related training can be guided by the findings of the MILESTONE project. 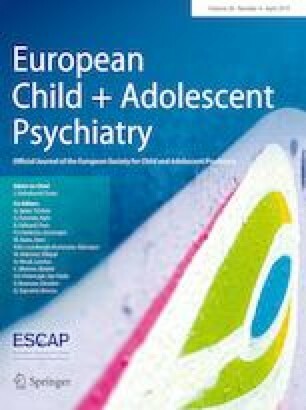 This article is part of the focused issue ‘The European and Global Perspective on Training in Child and Adolescent Psychiatry’. The members of the MILESTONE Consortium are given in acknowledgements section. The online version of this article ( https://doi.org/10.1007/s00787-019-01309-5) contains supplementary material, which is available to authorized users. Diane Purper-Ouakil and Sabine Tremmery are co-leaders for this paper. The MILESTONE project has received funding from the European Union’s Seventh Framework Programme for research, technological development and demonstration under Grant agreement no 602442. This paper reflects only the authors’ views and the European Union is not liable for any use that may be made of the information contained therein. This survey and response rate would not have been possible without the cooperation and efforts of the European Federation of Psychiatric Trainees. Especially, we would like to thank Teresa Gomez Alemany, the representative of the child and adolescent psychiatry section, and Livia De Picker, president 2015–2016. We are also grateful for all trainees who completed the survey. The MILESTONE consortium: members and partner institutions: Swaran Singh, Helena Tuomainen, Jason Madan, Jane Warwick, Cathy Street, Dieter Wolke, Moli Paul, Priya Tah, Rebecca Appleton, Alastair Canaway, James Griffin, Philip Wells, Rose-Marie Lomax (University of Warwick, UK), Giovanni de Girolamo, Giulia Signorini (Saint John of God Clinical Research Center, Italy), Paramala Santosh, Natalie Heaney, Mathilde Mastroianni, Federico Fiori (Kings College London, UK), Diane Purper-Ouakil, Frédérick Russet, Virginie Maurice, Véronique Humbertclaude (Hôpital Saint Eloi, France), Athanasios Maras, Larissa van Bodegom, Mathilde Overbeek (Yulius Academie, the Netherlands), Ulrike Schulze, Melanie Saam, Ulrike Breuninger, Anne Sartor, Elena Tanase (University of Ulm, Germany), Sabine Tremmery, Gaëlle Hendrickx, Veronique De Roeck (KU Leuven, Belgium), Fiona McNicholas, Aleksandra Gronostaj, Ingrid Holme (University College Dublin, Ireland), Tomislav Franić, Nikolina Davidović (University Hospital Split, Croatia), Frank Verhulst, Gwen Dieleman, Suzanne Gerritsen (Erasmus MC, The Netherlands), Kate Lievesley (HealthTracker, UK), Amanda Tuffrey, Anna Wilson, Charlotte Gatherer, Leanne Walker (Young project advisors), Andrea Wohner (concentris research management GmbH, Germany). VDR, ST and GH developed the survey; VDR and GH collected the data; GH wrote the manuscript with assistance of ST and DPO; FR, HT, GD, TF, AM, FMN, MP, US, GS, SPS, CS, FV, PS, and DW contributed substantially to the writing by proving critical revisions regarding the intellectual content and approved the final version.